Home Blog Hepatitis C Tourism to India - Why not just Order Hepatitis C Drugs Online? 14th April 2016 - The world renown International Liver Congress 2016 started yesterday. One of the current highlights is a study by DNDi (Drugs for Neglected Diseases initiative) which introduced a new ravidasvir and sofosbuvir combo for treating Hepatitis C.
According to clinical studies done on 300 patients in Egypt, the new Hepatitis C combo is 100% successful in curing Hepatitis C. What is more, DNDi predicts this medicine will be available in the US, Europe and Japan for - brace yourself - less than $300. Hepatitis C was not a big market for pharmaceutical industry prior to 2013. Gilead Sciences, a pharmaceutical giant, launched Sovaldi (400mg sofosbuvir) in December 2013; this is when everything changed. 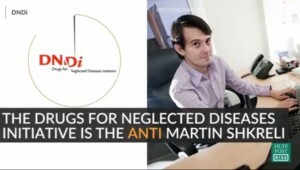 Hepatitis C became one of the most important therapeutic areas for Big Pharma. Sovaldi was a stellar achievement and raised the cure rate in Hepatitis C patients from 50% to over 90%. But what made the headlines was it's price point - $80,000 for a single treatment. This transformed Hepatitis C treatment area to one of the most lucrative and profitable areas Big Pharma can find themselves in. The extreme pricing of Sovaldi led to the extreme pricing of other Hepatitis C medicines which were launched after Sovaldi. Viekira Pak, for example, was launched by AbbVie with a price $83,320 per treatment. In fact, if you check the most expensive drug on the planet list, you're bound to find all Hepatitis C drugs on it and not one of them has a price tag less than $50,000 per treatment. This is why DNDi's study is so important. It seems that the drug combo they develop is working even better than what Big Pharma came up with, and they are willing to give it to patients for mere $300. This is more than 99% price reduction in Hepatitis C treatment. DNDi is a non-profit organisation and factors only the manufacturing costs and the costs of running the DNDi into the final cost of medicines. This is how the $300 price tag can be achieved. One has to ask if Gilead has the same costs, why does it charge $94,500 for Harvoni in the US? That means that $300 goes to the manufacturing, and $94,200 is counted as net profit from each and every patient. By now pretty much everybody knows the story about how Martin Shkreli lifted the prices of HIV medications from $13.50 to $750 per pill. DNDi is doing just the opposite; they will try to reduce $1,000 per pill standard to $3.50 per pill. DNDi teamed up with Egyptian pharmaceutical company Pharco Pharmaceuticals to conduct clinical studies in Egypt. 300 genotype 4 Hepatitis C patients were included in the study, and the cure rate is between 98%-100%. This showed principle investigators that one does not need to use ribavirin in order to successfully cure genotype 4 Hepatitis C.
DNDi is of an opinion that the new Hepatitis C drugs for $300 will be available in Egypt within 12 months. On the other hand, they are starting to conduct clinical trials in Malaysia and Thailand where patients have different underlying genetic characteristics. Upon successful trials, we are be expected to see Hepatitis C cure for $300 within 18 to 24 months. The drugs will be available in developing countries as well as developed countries. However, bringing such low-priced medicines to markets dominated by pharmaceutical giants such as Gilead Sciences, Abbvie, BMS and MDS might be challenging. What are Hepatitis C patients to do? An average Hepatitis C patient should right now be asking the following question 'Do I buy Harvoni for $94,500 or wait two years and buy this new Hepatitis C combo for $300?'. The difference is ground-breaking. Patients are currently paying more than $1,000 per pill of Sovaldi or Harvoni, and they usually need 84 of them. Pharco Pharmaceutical is expected to produce and sell the drugs that have the same or even better effect on Hepatitis C for $3.50 per pill. The answer what to do: it depends from patient to patient. The most basic idea is to consult with your doctor about waiting for the new medication. It might suit your wallet, but if your liver deteriorate too much during this period, the size of the wallet won't matter any more. Another US State Foots the Hepatitis C Bill - Where can you turn for therapy if you're not from Delaware? India grants patent for Sovaldi - Is the Indian Hepatitis C tourism over? Hepatitis C and SVR - When can you be truly sure you are Hepatitis free?